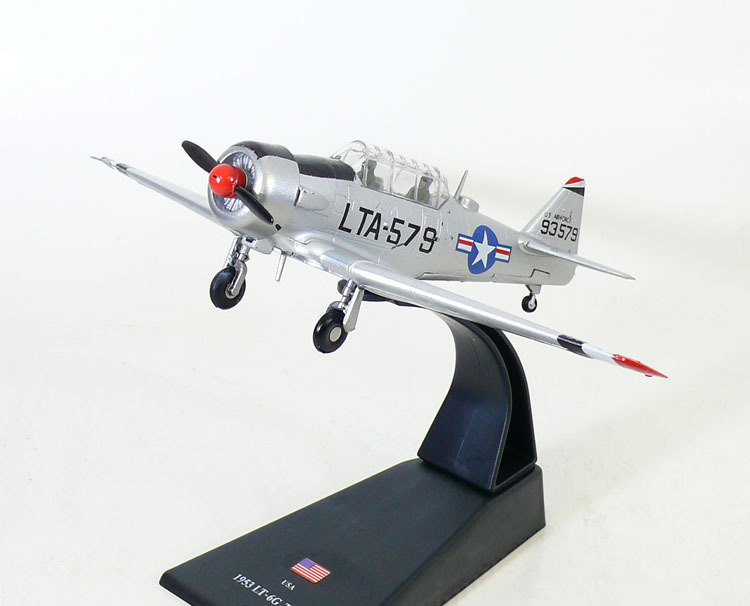 The North American Aviation T-6 Texan was a single-engine advanced trainer aircraft used to train pilots of the United States Army Air Forces, United States Navy, Royal Air Force and other air forces of the British Commonwealth during World War II and into the 1950s. Designed by North American Aviation, the T-6 is known by a variety of designations depending on the model and operating air force. The USAAC and USAAF designated it as the AT-6, the United States Navy the SNJ, and British Commonwealth air forces, the Harvard, the name it is best known by outside of the US. After 1962, US forces designated it the T-6. It remains a popular warbird aircraft used for airshow demonstrations and static displays.